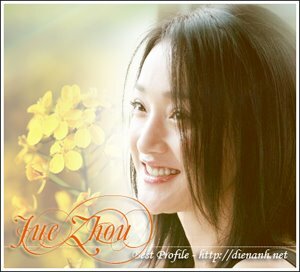 Zhou Xun: Confirmed: Chow Yun-fat and Zhou Xun play "Confucius"
Confirmed: Chow Yun-fat and Zhou Xun play "Confucius"
It is finally confirmed. Chow Yun-fat will play Confucius in a biopic on the ancient philosopher-thinker, for which shooting began on March 30. Rumors that the actor would play the philosopher have been floating around since early this year, raising much controversy. Many people felt Chow, a staple of gangster and kungfu films, was not the right choice to play Confucius. But director Hu Mei argued that Chow had proved his acting skills in "Crouching Tiger, Hidden Dragon" and in "Anna and the King" and was confident he could handle the role. Mainland actress Zhou Xun, who has just been voted Best Actress at the Asian Film Award, known as Asia's Academy Awards, joins in the cast as Nan Zi, an aristocrat who lived at the time of Confucius. The stellar crew includes Oscar-winning cinematographer Peter Pao and composer Cong Su. The film is expected to completed by the end of this year.